We’re only a couple weeks away from Thanksgiving, which means that soon thousands of runners will be lining up at the starting lines of local turkey trots across the country. Turkey trots are not only a great way to jumpstart an indulgent day of eating with some exercise; they are also a fantastic means for supporting local charities or nonprofits and getting to know other runners in your community. For many new runners, turkey trots offer an unintimidating introduction to racing. For experienced runners, turkey trots provide some shorter distances to enjoy and test speed at after a season of long distance training and racing. Whether you are a novice or advanced runner, you want to enjoy your turkey trot race. 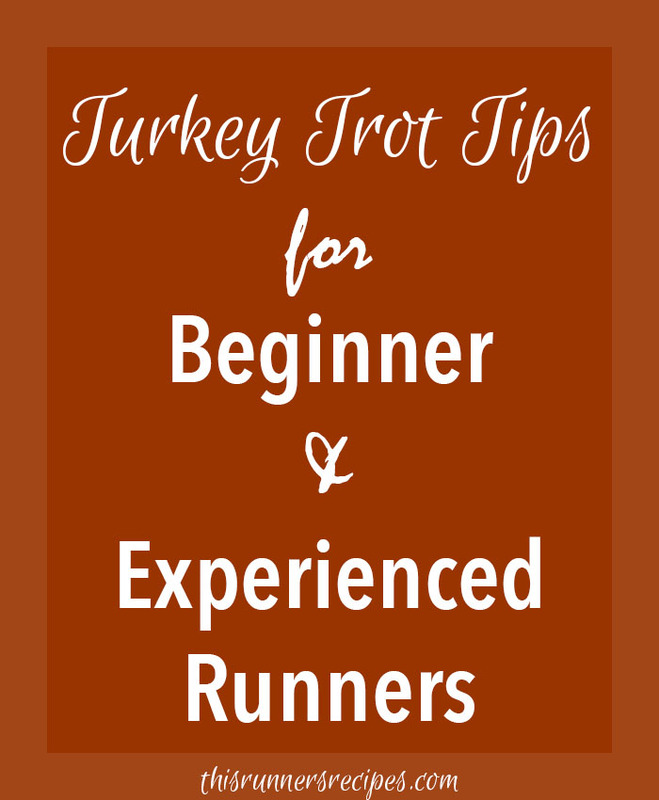 These turkey trot tips for beginner and experienced runners will help make your Thanksgiving race an all-around fun experience‐and help rev your appetite for some pumpkin pie! Even though 3 or 6 miles is not a long distance, you can still set yourself up for an unpleasant racing experience if you start at a sprint. Running too fast for the first portion of a 5K or 10K may feel easy for the first few minutes, but your lungs and legs will soon burn and you will inevitably slow down. If you’re a new runner and have not done any speed work during training, then these faster paces will feel particularly painful for you. A highly uncomfortable race is not what you want for one of your first racing experiences! Don’t let the adrenaline of racing or the excitement of the crowd cause you to start your race too fast. Instead, begin at a comfortable pace, similar to the pace you have done for most of your runs. If you feel good over the last mile of your 5K or two miles of your 10K, gradually increase your speed. With this strategy, you will enjoy the race and possibly surprise yourself with your finish time! In most parts of the country, Thanksgiving day will be cold, windy, and possibly snowy. Make sure you dress appropriately for the cold weather: wear a running jacket, running tights, gloves and a hat if need, and warm socks. However, since your body temperature will rise as you exert yourself, don’t dress too warm! There’s no need to show up at the starting line in a winter parka. A good rule of thumb is to dress as if the weather is 15 degrees warmer than it actually is. With the excitement of your first race, you may be tempted to line up right at the front. While you should definitely be excited about your turkey trot, line up further in the back. The front of the starting line should be for the fastest runners, such as those finishing the 5K in under 20 minutes. It is frustrating for faster runners to have to dodge around slower runners and walkers, while it is stressful and intimidating for slower runners to have fast runners speeding around them. Plus, lining up with runners faster than you creates too much temptation to start at their pace, which is not conducive to the smart pacing, as discussed above. Many turkey trot 5Ks and 10Ks are meant to be fun, family- and community-friendly events, which means they may not be the best race for nailing that big PR you’ve been chasing. While it’s certainly possible to PR at your local turkey trot, you may also lose a few seconds in dodging slower runners and people running with strollers and dogs. Don’t let this frustrate you or ruin your day; instead, use your turkey trot as a race to practice your pacing strategy of starting slow and finishing fast. 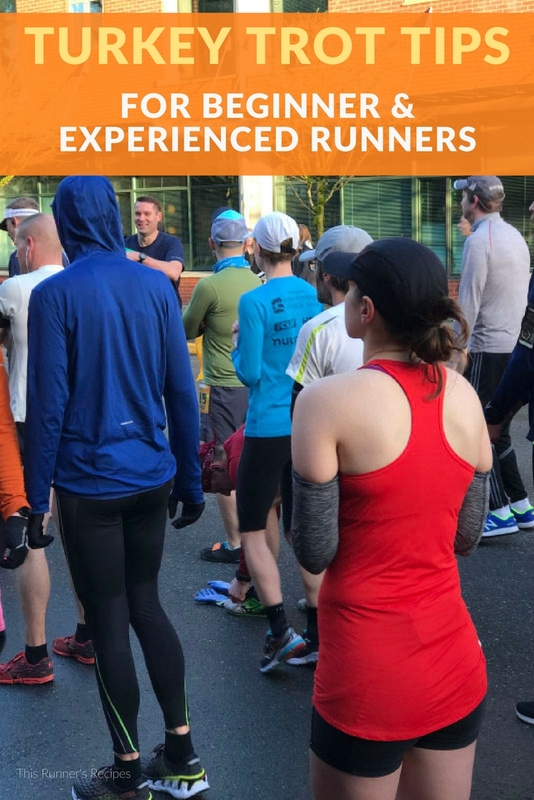 Enjoy racing for the sake of racing and use your turkey trot to reconnect with the joy of racing, regardless of your finish time. One of the aspects of racing that draws many people to running is the community. At your local turkey trot, contribute to the sense of community (which likely contributed to your adherence to the sport) by encouraging other runners, especially new runners, and practicing good race day etiquette. Are you running a turkey trot this year? I’m running my second-ever turkey trot. Fortunately the one I’m running is small, as in hundreds of people not thousands, but I would love to PR (It’s a 5K). I like that they attract so many different types of runners from fast people to beginners. Thanksgiving has become the biggest racing day of the year! Small is much better for races! Turkey trots are so great in the wide range of runners they attract. 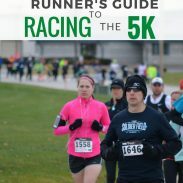 Good luck on PRing at yours – you’ve had such a great 5K season that I’m sure you will! Thank you, Angie! Oooh a blood Mary bar sounds so fun after a race! No turkey trot for me! 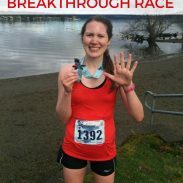 There is a marathon in Victoria and in Kelowna during our Thanksgiving weekend up here and I used to run that every year and then eat like a linebacker later on in the day or the next. It worked out quite well. That sounds like the perfect set-up! I can imagine the marathon in Victoria was insanely beautiful as well! I always want to do a turkey trot but there aren’t any good ones located near me! I usually go out for my own little turkey trot run though in the morning. Hopefully some will start in your area soon! It seems like every year more and more pop up. Last year I was in my hometown for TG and there were NO TG day races there. This year, we’re hosting family so it’s just not a possibility with all the prep work and craziness going on in the AM. Since TG is typically a holiday spent with other people, Turkey Trots are easiest to do if you’re going as a group instead of sneaking away for a couple hours, I think. I do always like to run on my own on TG morning, so I guess I just do my own Turkey Trot! I definitely agree – with all the family in town and the busyness of cooking, it can be better to do your own own turkey trot run rather than go to the race, since it takes less time. Last year my turkey trot was just Charlie, Ryan, and I! Great tips! 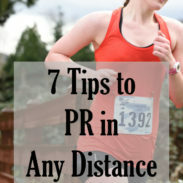 The PR one is so true – I was super frustrated at my turkey trot last year because there were so many little kids and walkers who started at the front (I started in the middle) that I had to weave around. I feel like a jerk complaining about it, but it’s stressful to have to worry about other people stopping right in front of you or blocking the whole street when you just want to run, especially when it’s so icy on the roads. I bet that was frustrating! It is stressful to have people stop in front of you – and I can imagine it’s not a pleasant experience for them! As bad as it sounds, I sometimes wish turkey trots used something similar to a corral system – I think it would keep everyone safer and happier during the race.